Murginns Gourmet Butter range is priced at Rs 125 each for a 125 gm pack and will be available across select stores in Delhi and NCR region including Spencer\'s, Big Bazaar, Le Marche etc. 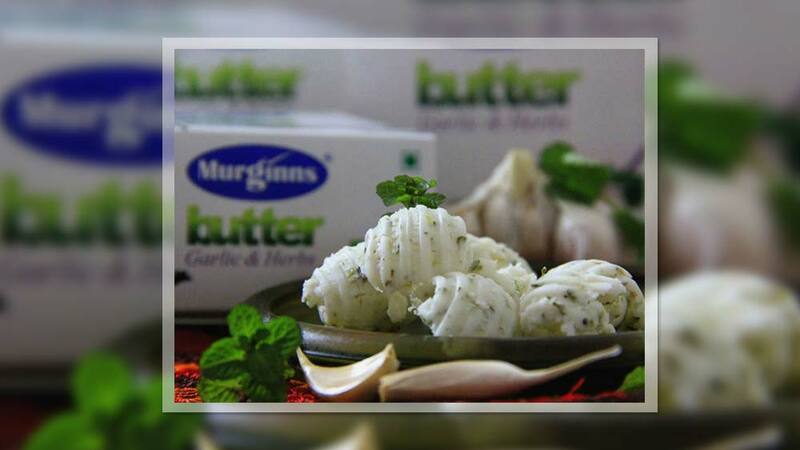 Murginns, one of the leading dairy brands in Delhi-NCR has launched three flavours of Gourmet Butter. The group has now launched another exciting new variant- Cumin, Coriander and Chilly Gourmet Butter, for discerning customers in Delhi and NCR. Murginns, in a short span of just a year since its foray into the sector, has introduced a range of healthy, innovative dairy based products that have made it popular among adults and children alike. Murginns Gourmet Butter, a first of its kind product in the category, is made with pure white butter blended with fresh and natural ingredients. It is now available in four variants- Garlic and Herbs, Cumin and Coriander, Cracked Pepper and now Cumin, Coriander and Green Chilly. “We have kept in mind the Indian palate that loves the kick of green chillies. When combined with Cumin and Coriander, the other two much loved spice/herb, this medley of flavours is sure to become a hit with those who crave Indian touch in their food”, said Deeptanshu Khemka, CEO, Murrgins. Murginns Gourmet Butter range is priced at Rs 125 each for a 125 gm pack and will be available across select stores in Delhi and NCR region including Spencer’s, Big Bazaar, Le Marche etc. Among the other products from the Murginns stable are Vitamin D-enriched Dahi, Pro-biotic Fruit Yougurt range, Shrikhand, Paneer, flavoured Lassi, Butter Milk and White Butter. Whom to consider when designing restaurant menu?..